You use system hard drive, memory card, memory stick or any USB drive to store digital photos. At times, either due to deletion, formatting or corruption of the media, your precious photos either get lost or become inaccessible. Here, it is a known fact that without proper care and maintenance, nothing can last long. However, even with proper care, you can not guaranty that the storage media containing your photos will never fail. Hence, if you really want to keep your invaluable photos safe, you have to think some alternatives and imply safety measures. Below photo storage tips are suggested to keep your cherished memories intact for generations. It is suggested to keep multiple backup copies of your precious photos so that even if you lose one, you have the other one safe. 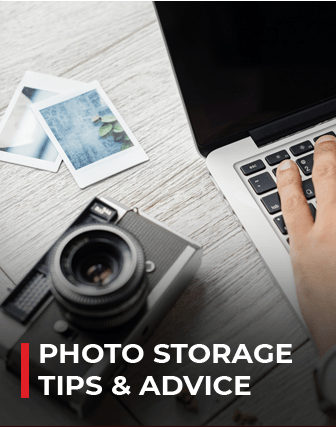 Many photo storage solution providers suggest to keep at least one backup copy of photos off-site to avoid losing them to natural disasters. While backing up your important photos, use different types of media for backup. Moreover, use different brands of storage media ensure more safety. For easy access, store precious photos inside organized folders with respect to date as well as event. Systematic labeling of the index and the photos with appropriate keywords can help them access easily, even if there is a huge collection. It is always safe to keep the original as well as the phase-wise edited copy of the photos in the backup. Every hardware prone to failure as they grow older. Hence, for safe keeping, plan and replace the back-up media in every 3 to 5 years. Never backup any photo, which has been corrupt or is of inferior quality. In your back-up, always keep the good ones and remove the rest. Regular and automated backups are must, as you never know, when a storage media can get fail, resulting in the loss or inaccessibility of your precious photos. Keep time-to-time image of media: It is a great idea to create and keep image of the storage media so that in case of media failure, you can easily restore all your photos from the image file. Note that the image file must be stored in a safe place other than the source media.